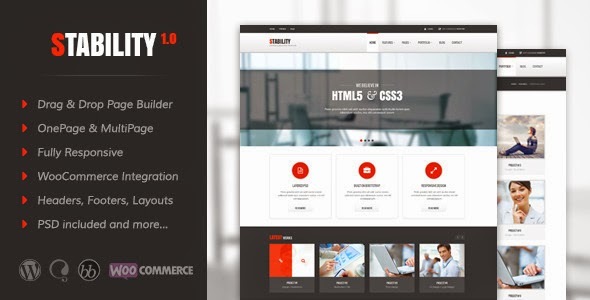 Stability is a clean, multipurpose and responsive WordPress Theme. It is suitable for your corporate business sites, a creative agency or a portfolio projects. The Theme follows modern trends and is also very flexible and dynamic, so it can cater to your needs. Stability includes unlimited color schemes, but don’t feel restricted. Changing the entire color scheme is very easy through color picker! Stability comes with premium slider, 10 homepage layouts, 4 portfolio layouts, 4 blog pages, coming soon page, contact pages and more. Item Reviewed: Stability Responsive Multipurpose WordPress Theme 9 out of 10 based on 10 ratings. 9 user reviews.